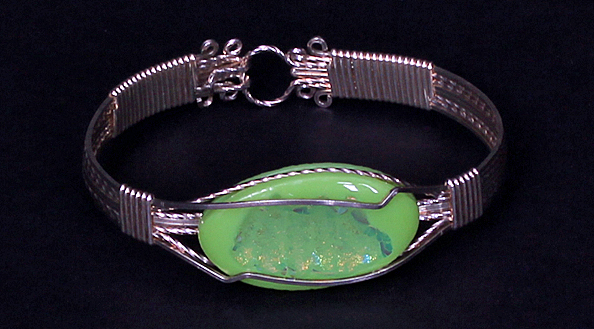 "Dichroic glass, multiple ultra-thin layers of different metals, such as gold or silver; oxides of such metals, as titanium, chromium, aluminum, zirconium, or magnesium; or silica are vaporised by an electron beam in a vacuum chamber. The vapor then condenses on the surface of the glass in the form of a crystal structure." 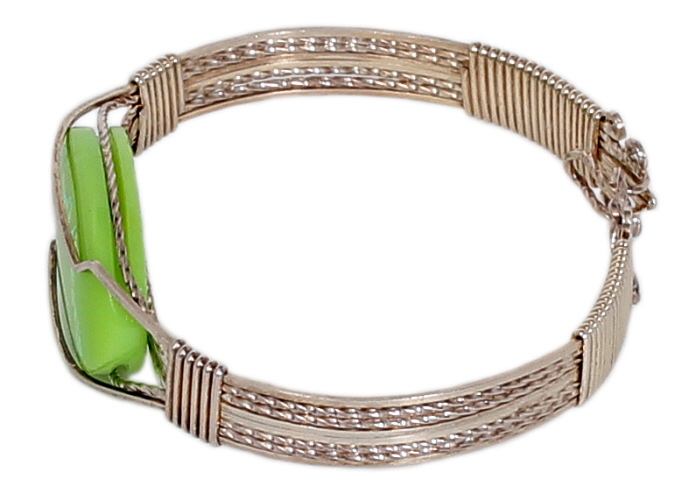 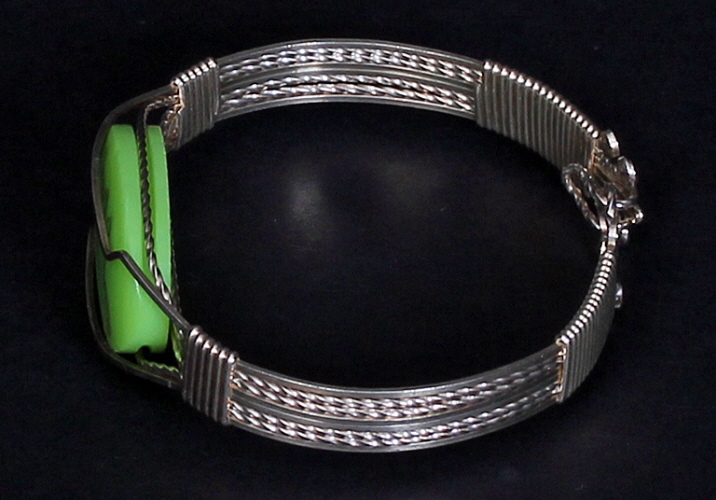 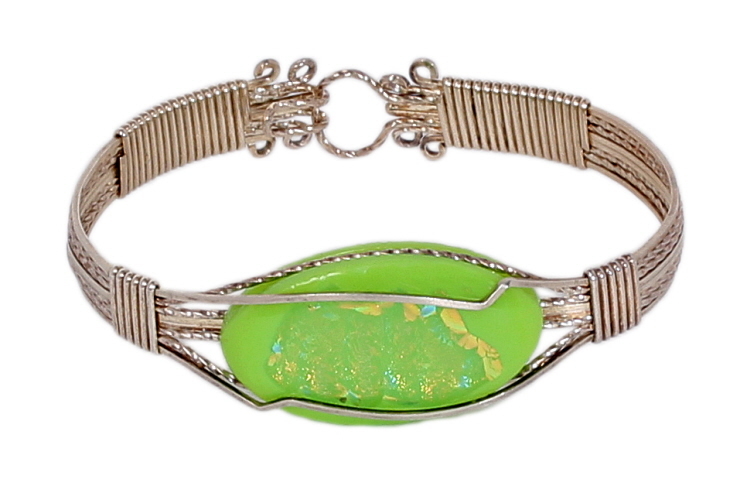 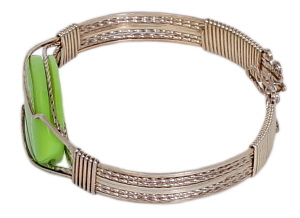 This piece of dichroic glass, in a crisp green, shades of peach and turquoise can be seen as the bangle moves and light reflects on it's surface.